Boost your information security career and become proficient in industry-standard roles such as Incident Responder, Vulnerability Analyst, Secure Software Assessor, and more… To help you get started, we’re now offering volume discounts based on the number of courses you enroll in at once. How do our volume discounts work? Our new volume discounts are based on the number of courses you enroll in at once. You can either pick one of our training paths or a combination of courses of your choice. 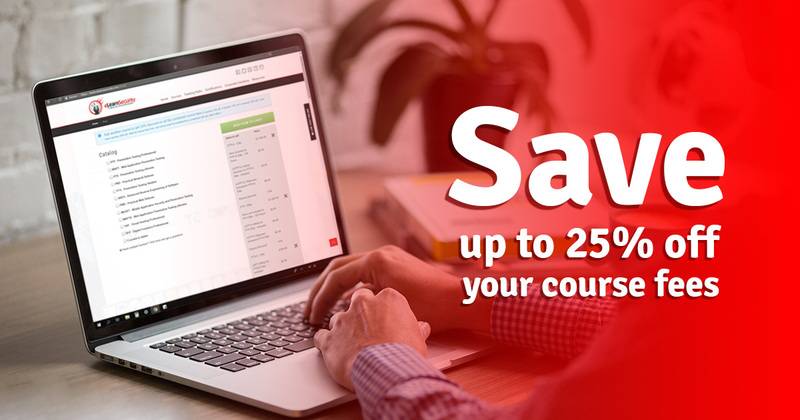 The discount automatically applies on the complete amount of all course fees in one transaction so you won’t need a coupon code. Several transactions, existing courses, or consecutive enrollments will not be considered for a volume discount.